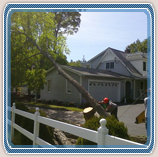 We specialize in residential and commercial landscaping and tree services for central and eastern Massachusetts. We are talented at handling every aspect of tree & landscaping care and design, specializing in handling every element apart from irrigation. 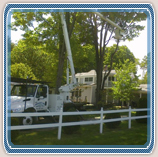 We are fully licensed and insured and hold credentials and certifications in all aspects of arboriculture, pest control, landscaping, maintenance, construction, and design. All our services are guaranteed to be of high quality, extremely dependable, and performed in a strictly professional manner.